Cloud computing is the future of IT- be it about consumer applications, web applications or enterprise applications, all are converging towards a scenario where the data in cloud is far away from the user and the resources are hidden, not physical as it was in the past, as it was with dedicated servers and racks in data centers for smaller customers. Obviously if you work as a small, medium and large IT service provider, then you will need either to explain the benefits of cloud computing or have to decide to switch to own business, so there might be some points to check before switching to Cloud Computing and why you or they should dispose of their infrastructure in order to become completely virtual. If we think of the thousands of small retailers, businesses or professionals who manage the IT sector; than many other small and medium enterprises, which are often of local importance only. In this article we will provide 4 points that can be used with your clients or you can check and clear whether cloud computing suits the need and dispel the doubts, which typically can be summed up. This is a typical thought that comes when one shift from dedicated server to cloud infrastructure : the interest is to have the same amount of resources of own dedicated server or in general of the physical infrastructure. In this case, performance much depends on the type of hypervisor that uses the infrastructure, today there are primarily KVM, VMware and Xen and with a direct mapping of hardware resources is always guaranteed, providers provide 1 core, 2 cores, 4 cores processors and are so completely dedicated. To explain, client resources are allocated exclusively like a dedicated server, a virtual instance is also guarantees with the same performance, you rarely will notice the decrease in performance compared to a physical machine. Good practice is to provide a direct test of the applications used by the customer in the cloud, to show the same performance, noting but the benefits, in terms of power it is different : in the cloud, one may decide to modify the “dedicated server” in real time, without having to do anything if you do not log into the control panel. Not only that many users do not realize the convenience of being able to build a real network in the cloud, with a cost which is unthinkable, but perfectly sustainable if we speak of virtual components. Typical example: a load balancer that balances the load upstream of the virtual instances. You can use these tools to convince that your client will to have equipments, that if purchased for the physical infrastructure, would cost will be far more. 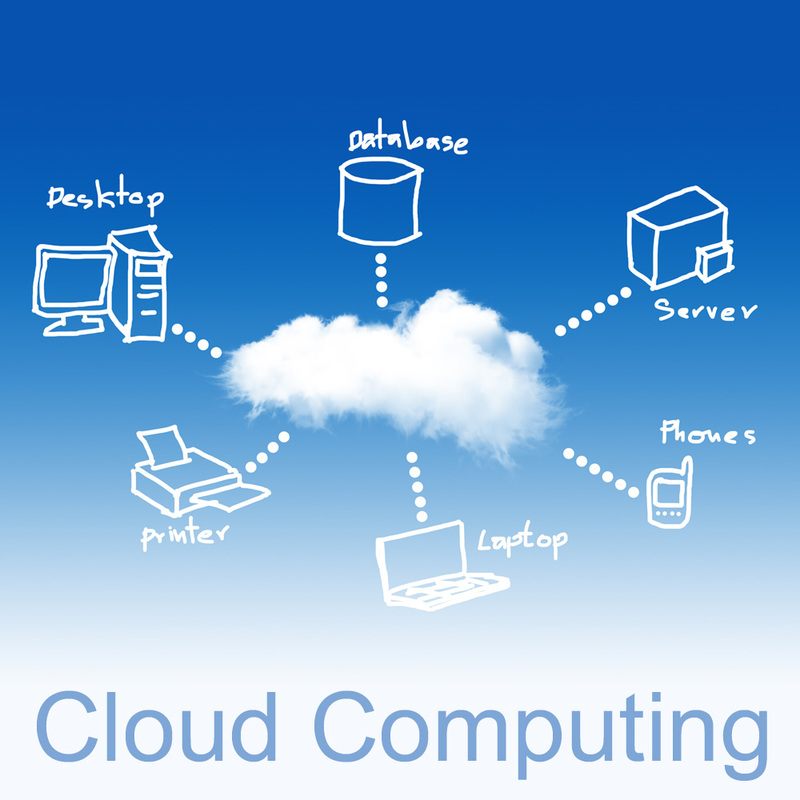 Points to Check Before Switching to Cloud Computing : Where is My Data? And the second question is, what you expect from the customer : where my data will be? Understand how you will manage storage in the cloud and what level of redundancy and replication of the data will take place. It important to point out the client, if the cloud is easier to implement policies for disaster recovery, however, when we speak of physical servers; we draw a very simple scheme to understand what happens when you send a document on the cloud, on the server and where that data ends up, both at the level of replication, both at the level of the data center. Then in the worst case, we assume that our data center goes off and show the customers what happens in your infrastructure and because the data remains available. In any case it is hard to realize where are your data, make it clear that in the cloud, despite being a shared environment, the resources are dedicated, organized and compartmentalized to prevent customers from accessing data from others. It is easy to create and destroy server and cost is lower versus in the data center. A few seconds is needed for the creation of a new server, maybe replicated by other existing, ready to run. Take pen and paper and try to make an estimate of costs : in many cases may not differ by much or be greater, due to the redundancy and ability to replicate on a small scale. Not all the companies are told what to spend until the end of the month. The customer gets scared at the end of the month. Understand that whether the price is fixed, or the cost is per hour or minute, for a single resource and the monthly price is therefore totally predictable and does not change from month to month for the same resources : one must understand that the pay-as you go has an advantage that when consumption increases, pay only for the higher ones, used for a certain time. Cite this article as: Abhishek Ghosh, "Points to Check Before Switching to Cloud Computing," in The Customize Windows, September 8, 2013, April 21, 2019, https://thecustomizewindows.com/2013/09/points-to-check-before-switching-to-cloud-computing/.